On Friday, April 12th, more than 400 secondary school students from across the Midlands will showcase their skills in Science, Technology, Engineering and Maths at SciFest@Athlone Institute of Technology – Ireland’s largest regional SciFest fair. The all-inclusive science fair gives students of all abilities and backgrounds the opportunity to develop their critical thinking, problem solving, research and presentation skills and helps engender an interest in science, technology, engineering and maths subjects with the aim of encouraging future matriculation into STEM degrees and, ultimately, careers. This year, judges will assess more than 194 science projects at junior, intermediate and senior level from 24 secondary schools. As in previous years, participating students will present on a wide array of topics, including the virtuosity of veganism and the effect of carbon dioxide on our diets, a super solution for superbugs and how colour can affect our learning. 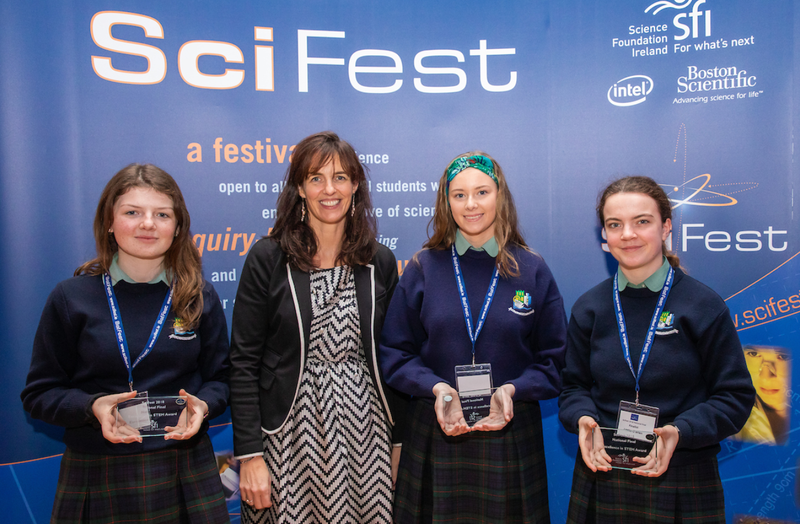 Last year, a trio of students from Co. Westmeath received an ‘Excellence in STEM’ award for their investigation into Irish air quality of air at the SciFest National Final. Juliette McGrane, Laoise O’Brien and Rebecca Campion, all from Athlone Community College, tested the belief that the quality of air deteriorates as it travels across Ireland from the south-west to the northeast due to Ireland’s southwesterly prevailing winds. The young scientists discovered that there was an increase in nitrogen tolerant lichen and a decrease in nitrogen sensitive lichen as they moved north-west across the country. They concluded that while country air found in Ireland is not heavily polluted, the air quality does deteriorate as it crosses the country. Supported by Ireland’s technological higher education sector, the all-inclusive, all-island science competition is funded primarily by Science Foundation Ireland, Intel, Boston Scientific and Specsavers. This year will see the introduction of Specsavers’ ‘Making a Difference’ award and the Institute of Physics in Ireland award for the best physics project. For more information, please visit www.scifest.ie.